Its for the 2018 Navigator. I got it the other day in the mail. First class mind you. It was in the simple black box you see above. 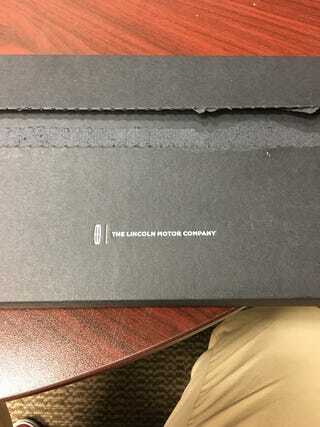 And when I saw this I though “this fancy box and first class mail for simple promotional material I could have gotten at a dealer?” But it was more than that. I thought that was pretty cool. It even came with its own USB cord for charging.